M. Eugene Boring. 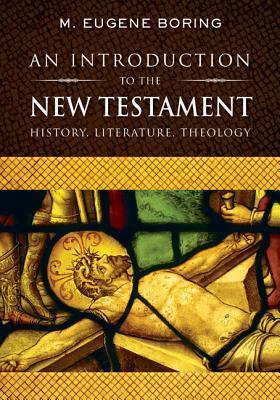 An Introduction to the New Testament: History, Literature, Theology. Louisville, KY: Westminster John Knox Press, 2012. 720 pp. $45.00. This NT introduction is the fruit of a lifetime of scholarship by a distinguished NT scholar, M. Eugene Boring, I. Wylie Briscoe Professor Emeritus of New Testament at Brite Divinity School, Texas Christian University. One distinguishing feature of this NT introduction is immediately apparent: there are nine chapters weighing in at 181 pages before Boring even gets into the NT texts. Many NT introductions dive right into a book-by-book survey, with others supplying a brief chapter or two that provide a broad overview of the Greco-Roman and Jewish backgrounds of the NT. The detailed background from multiple angles that Boring provides sets his volume apart in the world of NT introductions and makes this a valuable resource for the motivated and serious beginning student of the NT. 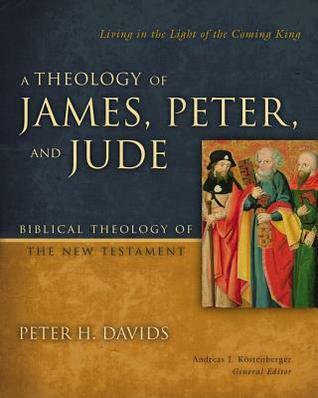 Boring’s introduction to his introduction covers what the NT is and how it was formed as the Church’s book; it introduces textual criticism, bible translation and biblical interpretation; it provides an overview of the Hellenistic world and Palestinian Judaism within that world; and introduces the quests of the Historical Jesus and the first Christian generation. 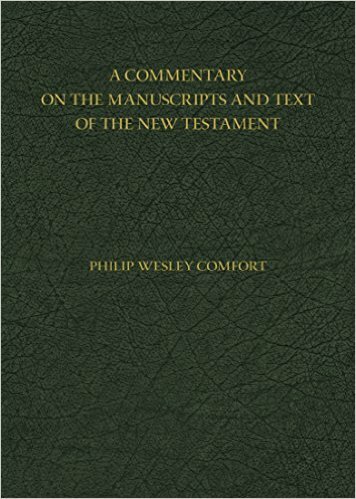 After this lengthy prolegomenon, the next surprise is that whereas NT introductions typically begin with the Gospels, Boring begins with Paul and ends with the Gospels, Acts, the Johannine letters, and Revelation. The other major unique attribute of Boring’s NT introduction is its theological emphasis, as noted in the subtext. Whereas NT introductions typically do not cover theology, Boring’s volume addresses what he calls the “exegetical-theological précis ” of each book. For those not familiar with Boring as a scholar, it should be noted that this is a critical NT introduction. 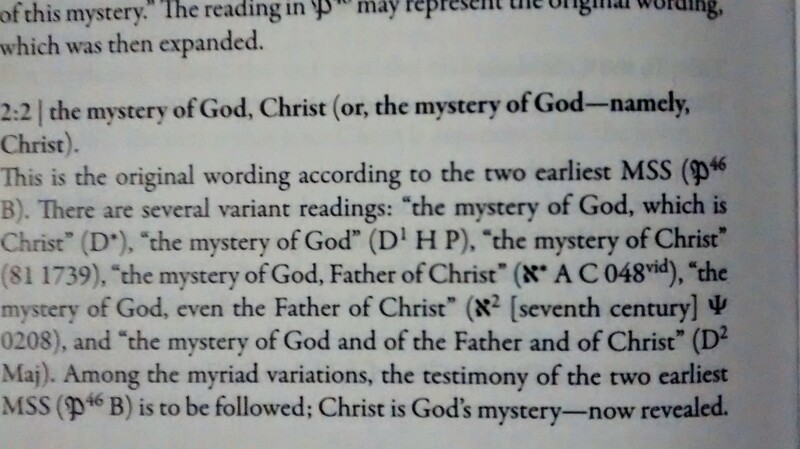 This is apparent from methodology as well as conclusions, from issues such as dating and authorship to more significant matters related to the integrity of the NT text. As such, as an evangelical, this isn’t a book I would recommend to the typical person in the pew as an introduction to serious study of the NT. The first NT introduction I’d recommend is hands-down The Cradle, the Cross, and the Crown (Kostenberger, Kellum, and Quarles). That being said, for the academically-inclined evangelical who has read a few conservative NT introductions and is somewhat familiar with the terrain, I highly recommend Boring’s volume as a stellar work from a moderate, more critical approach. For the serious student of the NT, Boring’s An Introduction to the New Testament: History, Literature, Theology is a worthy addition your library. Alongside the conservative must-haves such as Kostenberger/Kellum/Quarles and Carson/Moo, Boring’s volume merits a spot in one’s NT introduction section next to the likes of Raymond Brown and Luke Timothy Johnson. Just a mere months ago I was a total print snob. In addition to far preferring the actual reading/annotating experience of print as opposed to any digital format, there were reasons such as the feel of the covers, the smell of the pages, the beauty of bountiful bookshelves. But through a series of irresistible deals I now have Logos 6 with a bangin biblical studies library (I’m not ready to sell the print books that have been duplicated in Logos, though. I’m very much attached to my beautiful, bountiful bookshelves). And I must admit….having thousands of books literally at my fingertips at all times (including essential commentary series such as PNTC, NIGTC, and BECNT) is pretty amazing. I was once made fun of for my aversion to technology, but…well, who’s laughing now? Me. With my unbelievable, albeit digital, library. Anyway, as final evidence that I am no longer a Luddite, I will be reviewing one of the newest additions to the Pillar New Testament Commentary series, Mark Seifrid’s volume on 2 Corinthians. 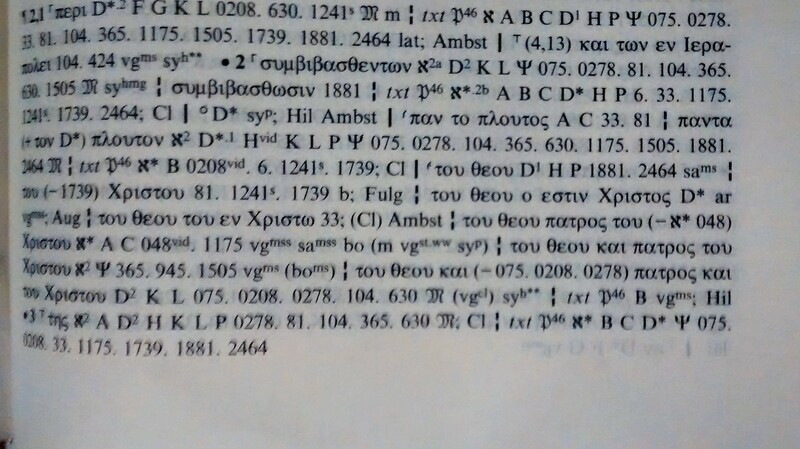 I never thought that, given the choice, I’d choose a digital book to review as opposed to print. But given that I own the Logos 15-volume PNTC set through my base package, the portability of digital books, and power of Logos 6, it made sense to continue and eventually complete the series in Logos. Thanks to Logos/Faithlife for the review copy! I’ve recently begun digging into two very exciting new Paul books that were released towards the end of last year. One is “In Christ” In Paul: Explorations in Paul’s Theology of Union and Participation (WUNT II 384) edited by Michael Thate, Kevin Vanhoozer, and Constantine Campbell. This monograph assembles an all-star cast including several who have published significant books on the subject of union with Christ (e.g. Grant Macaskill, Constantine Campbell), and heavyweights in Pauline scholarship such as Michael Gorman, Susan Eastman, and Douglas Campbell. Other notable contributors abound. 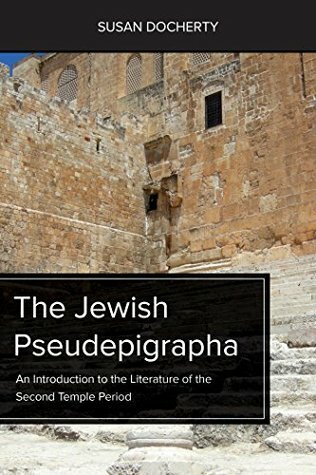 The publisher’s description is below. 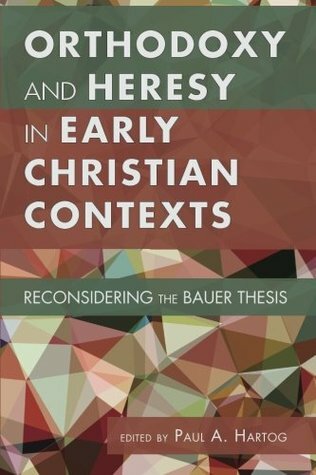 Nearing thirty-five years ago, E. P. Sanders famously stated that the center of thought within Paul’s theology is participatory in nature – which, of course, caused no small debate within broad strands of Pauline scholarship. Sanders also suggested that we have no modern conception of what this thought might mean for us today. These two axioms of Sanders loosely organize the essays in this volume which seek to explore the complex notions of union and participation within Pauline theology through exegesis, highlights in reception history, and theological reflection. This collection of essays aims at teasing out the complex web of meaning conveyed through Paul’s theological vision of union and participation – both in their relationship and in their distinction with one another. Taken as a whole, this edited volume constitutes a multi-disciplinary reflection and exploration of Paul’s theological vision of participation and union. But it is precisely as a multi-disciplinary exploration that this volume hopes to chart new ground and make new connections within Pauline thought with the hope that further research might contest and/or clarify its findings. The second is Studies in the Pauline Epistles: Essays in Honor of Douglas J. Moo. My Facebook and Twitter feeds were abuzz about this the night the festschrift was presented to Moo at ETS. I’m always excited when a festschrift is presented to a scholar that I have long appreciated, but I don’t usually gravitate towards reading them. However, I knew I had to read Moo’s. Where do I even begin giving reasons? His NICNT on Romans was the first commentary I ever bought, which solidified him in my list of favorite biblical scholars very early on in my Christian life. I suppose the facts that I love Pauline studies and that I’m solidly OPP make it more than obvious why I so appreciate Moo. But regardless of one’s perspective (hah!) on Paul, it’s undeniable that Moo is one of the most capable Pauline scholars of our time; this can be seen in the somewhat surprising presence of essays by Wright and Dunn. This book is really a must-read for Pauline nerds, especially those of the OP persuasion. Amazon does not yet have the “look inside” feature for the book, so you can check out this post by one of the editors for the TOC and some other tidbits. Here is a video of the festschrift being presented to Dr. Moo. Gregg R. Allison. Roman Catholic Theology and Practice: An Evangelical Assessment. Wheaton, IL: Crossway, 2014. 496 pp. $28.00. A few weeks ago a friend asked me whether there were important theological distinctions between Protestantism and Roman Catholicism. After explaining some of the core differences, I recommended Dr. Allison’s latest book, Roman Catholic Theology and Practice. This is the first time I’ve ever had a book to recommend on this issue, for prior to Allison’s volume, there had not been a thorough, book-length evangelical treatment of Roman Catholic theology for decades. One purpose is to highlight the commonalities between Catholic and evangelical theology, agreements or similarities that prompt intrigue. These shared doctrines and practices—e.g., the Trinity; the full deity and full humanity of Jesus Christ; worship and prayer—need to be recognized and appreciated, and they lead to thanksgiving for a limited yet real unity between Catholicism and evangelicalism. The other purpose is to underscore the divergences between Catholic and evangelical theology—disagreements or dissimilarities that require critique. These doctrinal and practical disparities—e.g., apostolic succession, transubstantiation, the immaculate conception of Mary, praying for the dead in purgatory—are serious points of division that must be faced honestly and sorrowfully, yet with a humble conviction that avoids minimizing the substantive distance between Catholicism and evangelicalism. This book walks through the Catechism of the Catholic Church section by section, first offering a summary and then an assessment from Scripture and evangelical theology. There is a concluding chapter dealing with ministry to Roman Catholics, showing, again, that this isn’t just theoretical; that ultimately, the purpose is the glory of God and the salvation of souls. 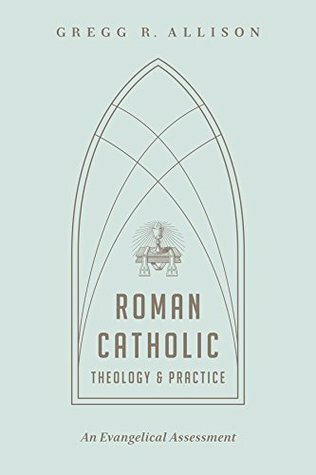 Roman Catholic Theology and Practice is a valuable resource for the Church and is likely to become the definitive contemporary introductory guide for evangelicals desiring to understand what Roman Catholicism teaches, where key divergences with evangelical theology lie, and why it matters. 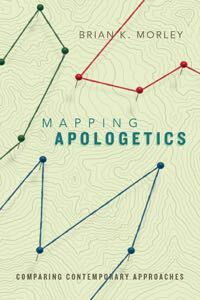 I received a free digital copy of the book without obligation for providing a positive assessment.